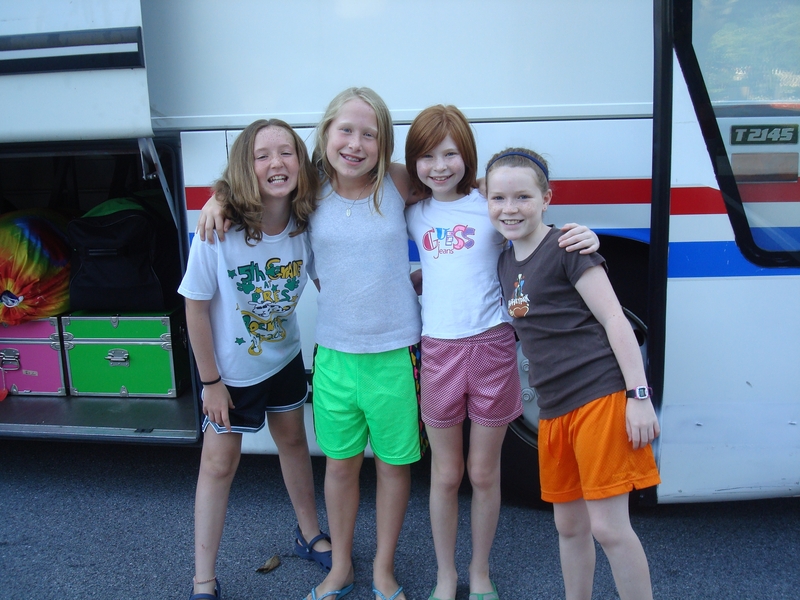 Allie (far right) with cousin Erin and friends Kelley and Kennedy in 2008. Growing up, I often took long moments looking at a picture that hangs in my grandmother’s dining room. In the photo, my cousins and I are toddlers, surrounded by aunts, uncles, parents, and siblings. The portion of this photo that perplexed me however, was the tent in the background. After many years of curiosity about this place, I finally came to Camp Alleghany as a Mini Camper in 2007. I have a vivid memory of getting out of my car with my mom after a long drive to camp, and being enthusiastically greeted by the head of Mini Camp as the “Roop Family.” I knew this was my mom’s maiden name, but I had no idea what it would mean to me in the coming years. 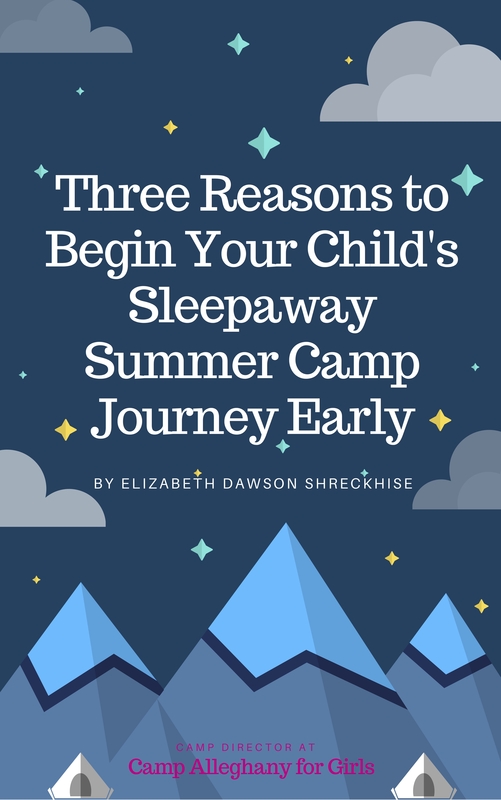 My mom, Emily, and her two sisters, Margaret and Ruth, came to Alleghany in the 70s and decided together to send me and my cousins to Camp when they were able. I can safely say this is one of the best decisions they’ve ever made. I’m sure my cousins Sara, Erin, and Megan, would agree. For the past 11 years, we’ve had the priceless opportunity to grow close to each other each summer given that we’re not otherwise able to see each other much through the course of the year. Sara is the oldest of the bunch. Erin and I one year younger than she is. Megan is two years younger than we are. Sara and Megan’s mother, Ruth, runs the Camp Store throughout the summer, and Aunt Margaret (Emily’s mom) and my mom have come intermittently as Mini Camp counselors throughout our time here. In addition, we’ve adopted many “honorary” members of the Roop Family during our annual “Changeover Dinner,” (Changeover is the day between First and Second Terms) and even made our own camp patches to commemorate the ever-growing family tree. As camper-cousins, we’ve hit many milestones together, including my being able to initiate Megan as a Silver A in 2012, and Sara initiating Erin and me as Junior Counselors in 2016. Most recently Sara, Erin, and I initiated Megan as a JC just a few days ago. All four of us younger generation “Roops,” look forward to attending the monumental 10-year dinner together this Term! While all of these moments have been memorable, what has meant the most to me has been the little moments. Meeting Sara’s first campers, sitting in Cowbell chatting with Aunt Ruth at night, teaching Megan in Rifle, being a big sister to Aunt Margaret’s Mini Camp tent, taking days off with Erin, and most importantly spending my very first summer here with my mom, have been the most priceless moments to me. I would never trade the opportunity to have been at Camp Alleghany for Girls with my cousins each summer for the world, and I am sure my family would agree. I hope one day my daughters will, too! 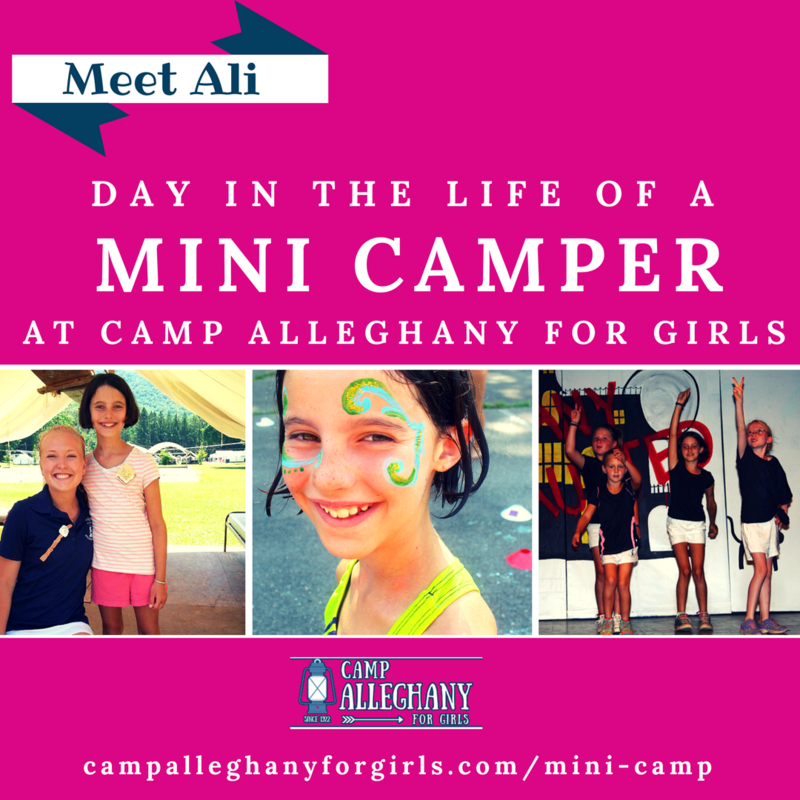 Allie Sullivan is a legacy 'Ghany Girl, an alum, and a Counselor. That’s my counselor!!! Love you Allie this is awesome!